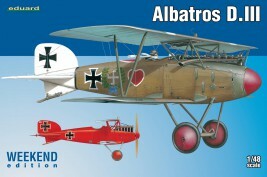 Weekend edition of Albatros D.III in 48th scale. The Albatros D.III was a biplane fighter aircraft used by the Imperial German Army Air Service (Luftstreitkräfte) and the Austro-Hungarian Air Service (Luftfahrtruppen) during World War I. 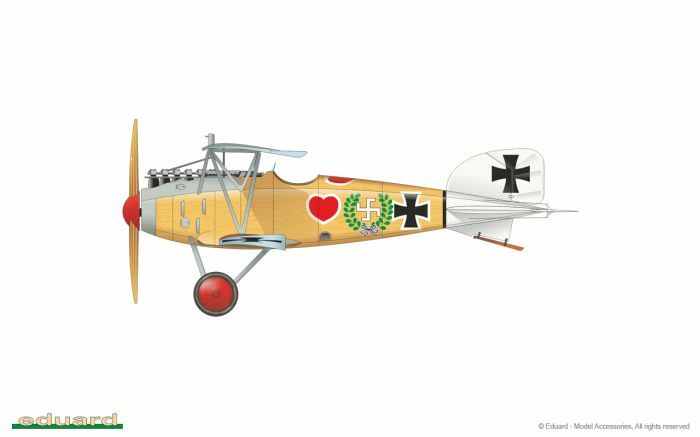 The D.III was flown by many top German aces, including Wilhelm Frankl, Erich Löwenhardt, Manfred von Richthofen, Karl Emil Schäfer, Ernst Udet, and Kurt Wolff. 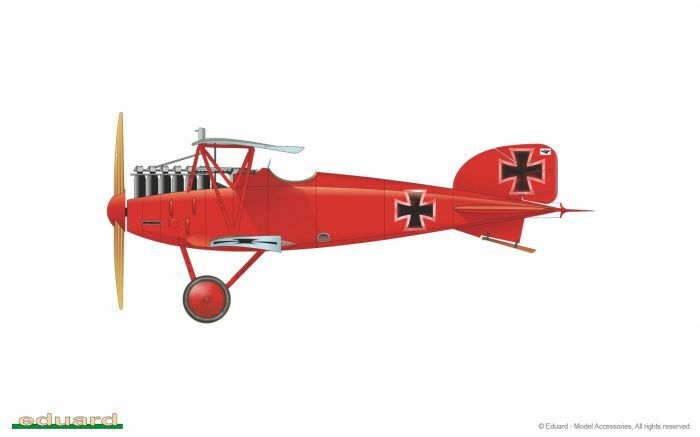 It was the preeminent fighter during the period of German aerial dominance known as "Bloody April" 1917.